Deciding to get a personal vehicle is one of the largest investments we make in our lives, and for every driver, it is a unique desire as well as a unique experience. Overall though, driving and owning your own vehicle is something that anyone and everyone can benefit from. No matter what you prioritize in life, a car can make it better by gifting you with a sense of freedom that will allow you to push past your preconceived limitations. The evolution of cars has been swift and fierce, and that is both a good thing and a bad thing. It is good because now we the drivers have what seems to be an unlimited amount of options to choose from, it’s a bad thing though because we have what seems to be an unlimited amount of options to choose from. This leaves the big question, what is the best option? Well if you are looking for something that that offers everything that matters to the everyday driver such as a fair price point, balanced craftsmanship, and reliability, then nothing matches up to Chevy cars. To explain what makes Chevy cars such attractive options it is first important to identify what Chevy manufactures have spent perfecting, the needs of the everyday driver. Since they were founded over a century ago in 1911, Chevrolet has listened carefully to drivers in order to discover what truly matters to them. This is how Chevy came to be the manufacturer of the everyday driver. So what do we the drivers care about? Let’s find out. Clearly, price has and always will be something that matters to drivers who work hard for their money and want to spend it responsibly. This is why when it comes to affordability Chevy cars never fail to match their value perfectly. Cars, in general, are more affordable options due to their small stature, but with Chevy, that price is made even more reasonable for those that need to make a budget work, but still get something reliable. You can be assured that Chevy cars will always be worth what you paid for, and that is priceless. Nearly every driver will agree that safety should always be a top priority for manufacturers, and Chevy cars couldn’t agree more. Chevy cars live under the philosophy of prevent, protect, and respond. This motto may seem pretty basic, but looking deeper into its meaning it will truly leave drivers with a sense of comfort, confidence, and security. Preventing means to build awareness while increasing control. This is why every Chevy car is fitted with technology that was designed to alert you to your surroundings, improve your driving habits, and adjust seamlessly to the unexpected. Protect is you basic equipment such as sturdy seatbelts and 360-degree airbag system that work together with the resilient framework and body of each Chevy car to keep you secure even during the worst collisions. Respond is to be sure that you are taken care of in the event a collision does happen. Chevy is OnStar connected so that you never have to fear the worst and can be sure that help is always on its way. Strive to prevent, prepared to protect, and quick to respond, that is what a Chevy car is all about. A vehicle should always offer its drivers a sense of convenience which can come in many forms such as comfort features, space, or a look that can either stand out or fit in anywhere. 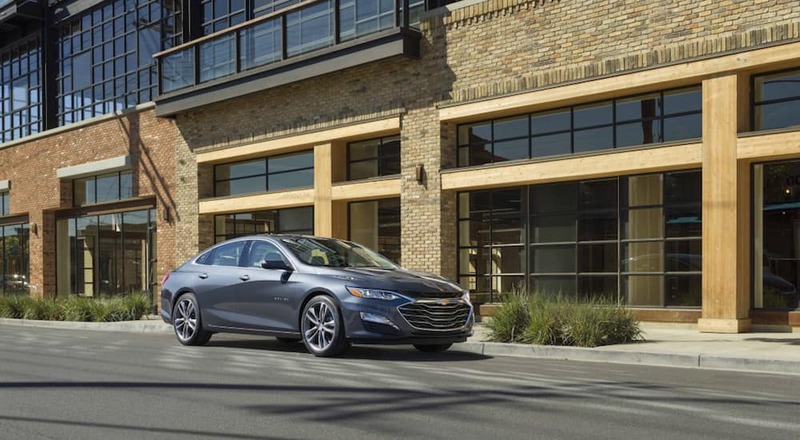 Every Chevy car has its own healthy list trim levels that will allow you to personalize it in any way you want so that it can match your life perfectly. Get the best of the best with luxury features such as high-grade leather heated and ventilated seating, dual climate control, and an intuitive Chevy infotainment system, or keep it simple with a base trim that will offer everything you need to get through your daily commute. Whatever you need there is a trim for that, and that is what convenience is all about. Clearly, a vehicle is not worth much unless it knows how to perform its duty, and Chevy cars always offer a reliable lineup of powertrains to match your lifestyle. Go from steady to speedy in no time at all depending on the model you choose. No matter which engine you choose though, you can be assured that it was designed to fit that Chevy car as perfectly as two hands in a firm handshake. Innovation is the next big thing in the automotive world, and a vehicle that doesn’t keep up with the times will surely be a dud. The main way Chevy cars are showing offer their innovation is by introducing a number of hybrid options that mix efficiency with power in a way like never before. Chevy cars also have one of the best infotainment and connectivity systems in the automotive world due to its outstanding capabilities and simple navigation. So now that you know what matters, and how Chevy cars provide those things, it is time to get a look at the individual models. Chevy is not just known for their ability to listen to the drivers; they are also known for their versatility and ability to push out a number of different models in order to more fully suit the masses. So here are some of the leading contenders when it comes to Chevy cars.